28-Apr-2016 23-Jun-2016 11:00 AGM Arcadia II, Level 3, Hotel Armada Petaling Jaya, Lorong Utara C, Section 52, 46200 Petaling Jaya, Selangor Darul Ehsan. hallelujah maybe there is good news coz the Director been acquiring the shares quietly. thesteward Good one. Dirs accumulated for quite some time. PYLINK 17-Jul-2017 Additional Listing Exercise of Warrants - 40,000 shares at 0.375.
leekh91 KUALA LUMPUR (Oct 26): PRG Holdings Bhd today signed a collaborative agreement with Jiangsu Provincial Construction (M) Sdn Bhd (JPC) to venture into highway, bridge, port, housing development, as well as project investment and financing projects in Malaysia and abroad. PRG said the agreement formalises the commitments made by both parties in an earlier agreement inked in July, and regulates their rights and obligations as shareholders in the joint venture entity named Premier JPC Sdn Bhd. PRG will hold a 51% stake in Premier JPC, while the remaining 49% will be held by JPC. The collaboration will include construction projects potentially worth RM5 billion to be developed by PRG and the subsidiaries of Syarikat Perumahan Negara Bhd (SPNB), PRG said in a statement. monkeyinvestor budget 2018 angpao besar? miketyu Director Mass buying. apa macam? monkeyinvestor start goreng today 5/4/18! ViWizard how is this company? abdrahib To day RSI below 30.Can buy or not? commonsense Both the company’s business in manufacturing (via subsidiary Furniweb) and property development are facing operational challenges which had affected the profit to shareholders. 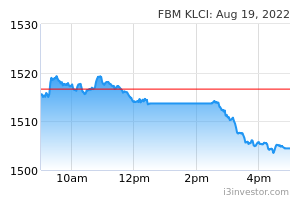 The 9m18 result delivered a total loss of RM3.3mil to the shareholders with 4Q18 also expected to still record a loss. Manufacturing business saw a drop of profit by almost 70% due to the intense competition in the industry. The sales in property has dropped by almost half due to lower sales from the Picasso Residence project. Management is planning to venture into the affordable housing segment which I think is a bit late given the already intense competition in the segment. Even those that are well known in the segment (like Hua Yang) is finding it difficult to deliver profit to their shareholders. In addition, with the new regulation imposed by the Pakatan government, where any residences to be considered affordable, it will need to be have at least 900 sq ft of size and be price below RM300k. This would only mean lower profit margins to the developers. If you are looking to diversify your portfolio outside of PRG Holdings (due to its earnings uncertainties and bleak business outlook), I would recommend you to look at MBMR. 129055444514385 market cap is about HKD1.5bil now.... about RM750mil.... prg holds about 63% of furniweb if not mistaken, valued at about RM472.5mil just for this listed subsi. 25-Feb-2019	Additional Listing	Exercise of Warrants - 3,719,000 shares at 0.375. 21-Feb-2019	Insider	DATO' WEE CHENG KWAN (a substantial shareholder) was dealing with company shares on 21-Feb-2019. 21-Feb-2019	Insider	DATO' WEE CHENG KWAN (a company director) was dealing with company shares on 21-Feb-2019. 21-Feb-2019	Insider	DATO' WEE CHENG KWAN (a company director) was dealing with company shares on 18-Feb-2019. ViWizard what happen to this stocks?